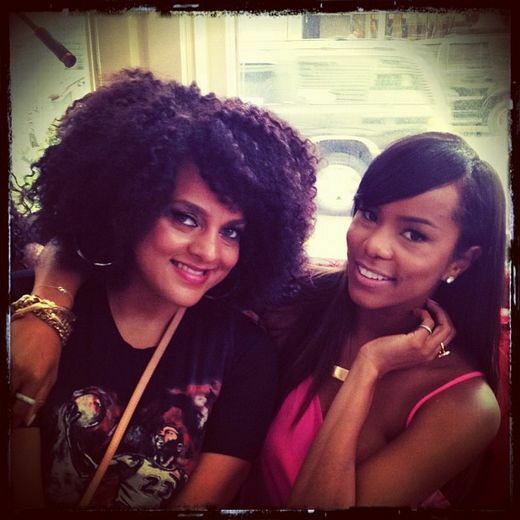 EMF performer Marsha Ambrosius shares a moment with Letoya Luckett. 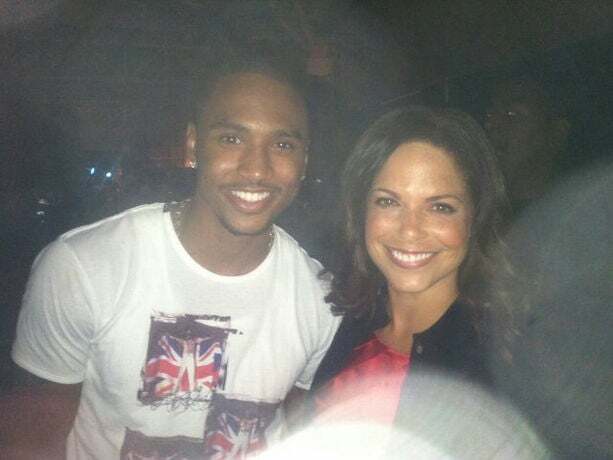 Soledad O’Brien and EMF headliner Trey Songz take in the sights and sounds backstage at the Superdome. Let the good times roll! 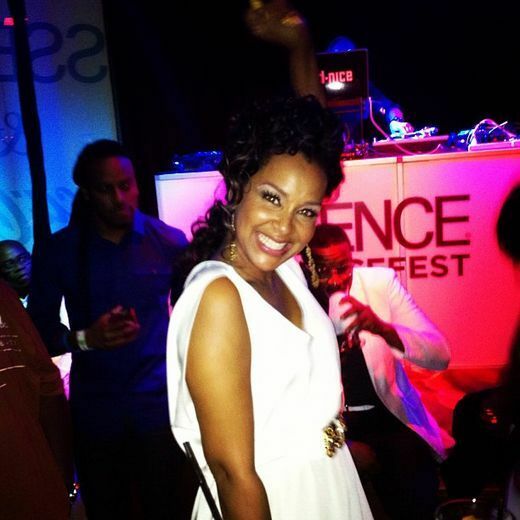 LisaRaye McCoy enjoys herself at Kevin Hart’s birthday party hosted by ESSENCE. Terrence J. hosted his own N’awlins after-party during the Essence Music Festival. 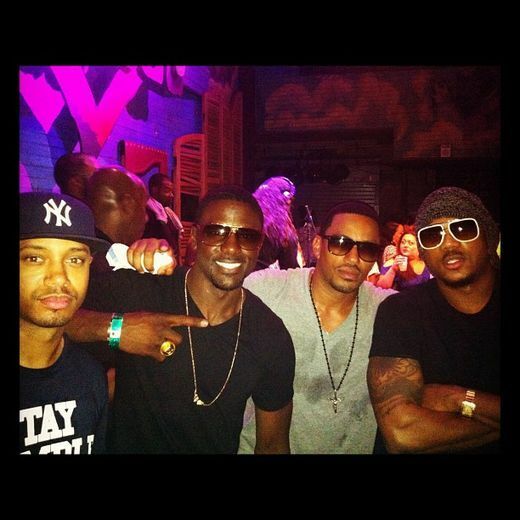 Friends Lance Gross, Laz Alonzo and Hosea Chanchez joined in on the fun. 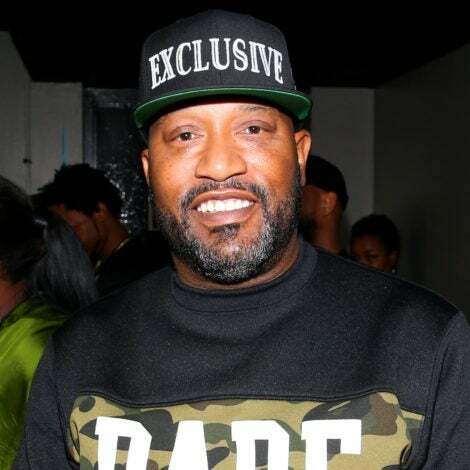 “Some of the realest in the game,” tweeted Laz. 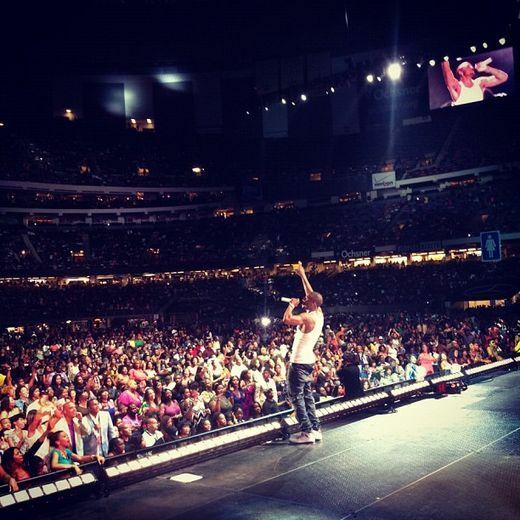 Trey Songz takes the stage at the Superdome. Rev. 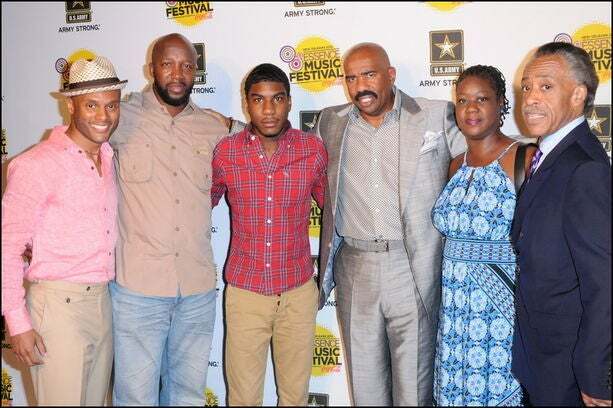 Al Sharpton, Steve Harvey and Kenny Lattimore welcomed Trayvon Martin’s family — dad Tracy Martin, brother Jahvaris and mom Sybrina Fulton — to the Empowerment Experience at the Essence Music Festival. Legends in the building! 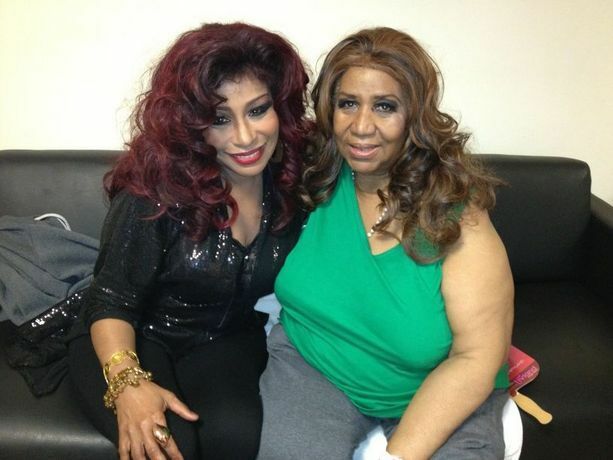 “Two extraordinary divas,” tweeted CNN analyst Roland Smith, when sharing this backstage pic of EMF headliners Chaka Khan and Aretha Franklin. 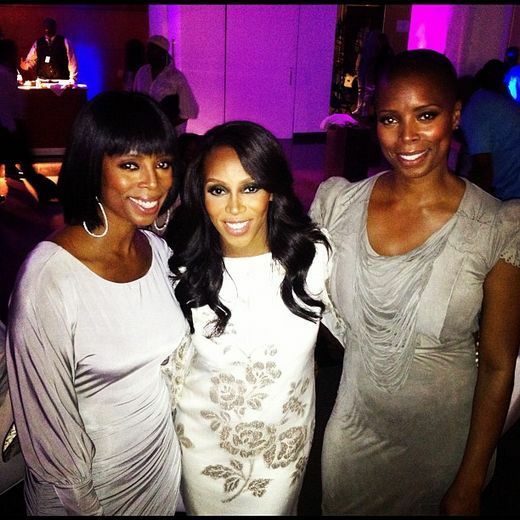 “I found double trouble behind the scenes at the concert,” tweeted celebrity stylist June Ambrose while hanging out with Tasha Smith and her twin sister Sidra. “I adore u both,” she added. 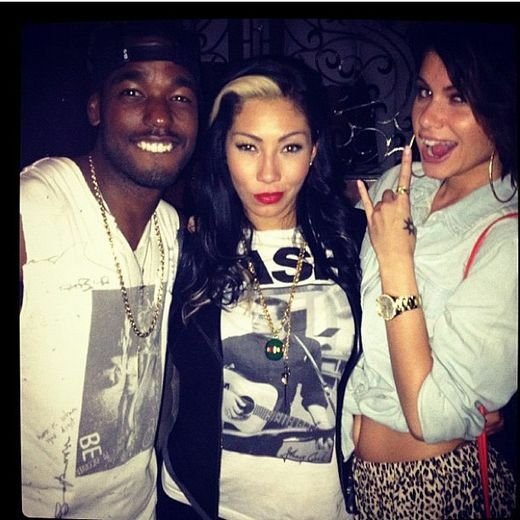 Luke James, Bridget Kelly and Leah LaBelle each rocked an EMF Superlounge. 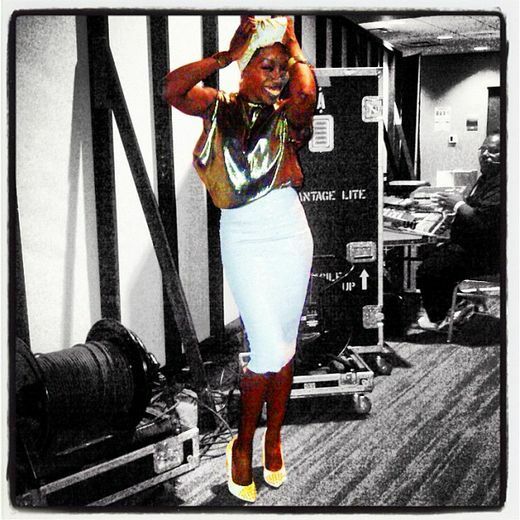 “Right before I went on last night,” wrote EMF performer Estelle on the gold and white number she wore for her two Superlounge performances. 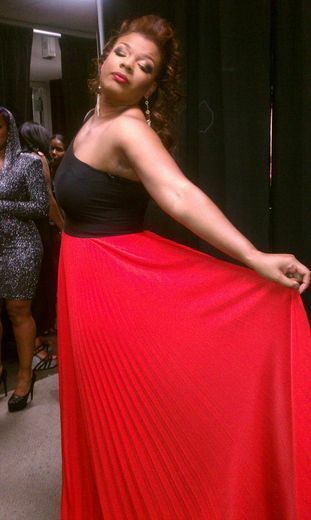 Looks like R&B Divas star Syleena Johnson was feeling like the diva she is after her tribute to Etta James at the Essence Music Festival. 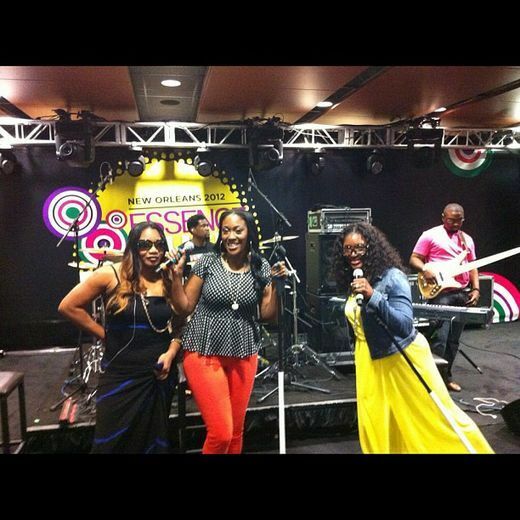 SWV gets ready for their Superlounge performance. 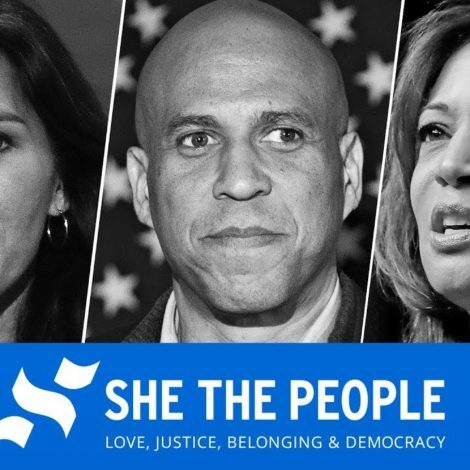 Welcome back, ladies! 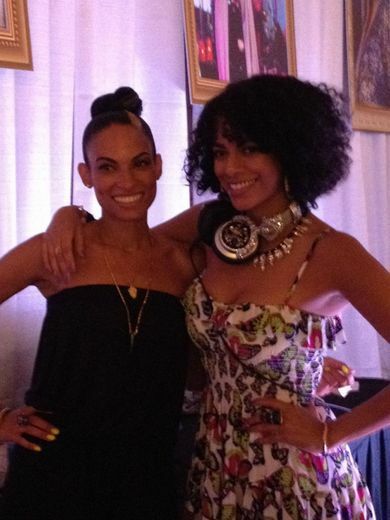 EMF performer Goapele shares a backstage moment with DJ Rashida. 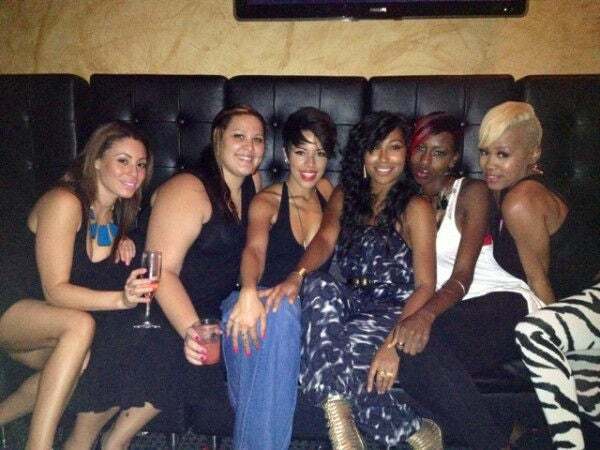 Melanie Fiona meets up with friends in New Orleans before her Superlounge show. 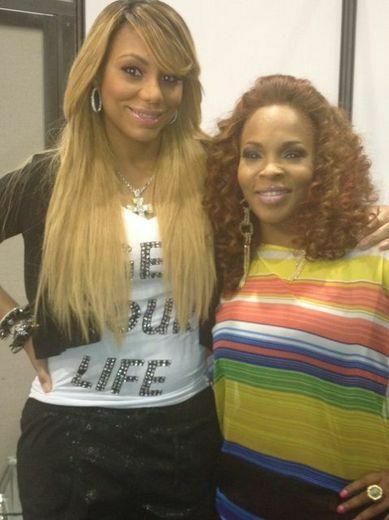 Tamar Braxton shares a moment with radio personality Free, who hosted the ESSENCE.com Live stage. 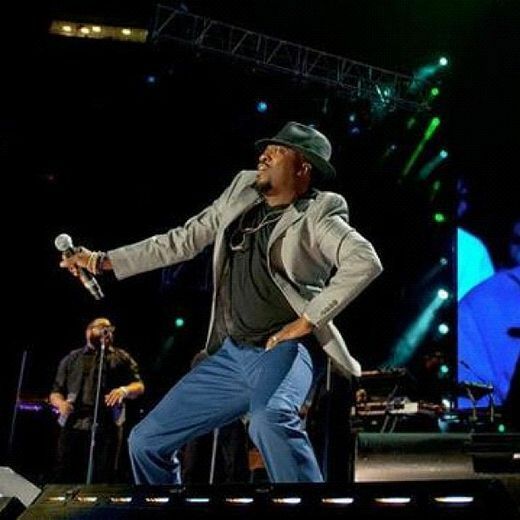 EMF headliner Anthony Hamilton shows he can move like Jagger while rocking the Superdome main stage. Singe Ladies star Denise Vasi and a friend get pampered at the Luxe Lounge during the Essence Music Festival. 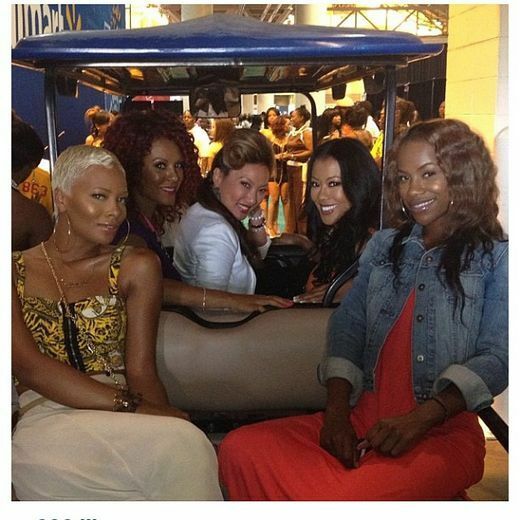 Eva Marcille and her Girlfriends Confidential co-stars get a ride through the Convention Center. 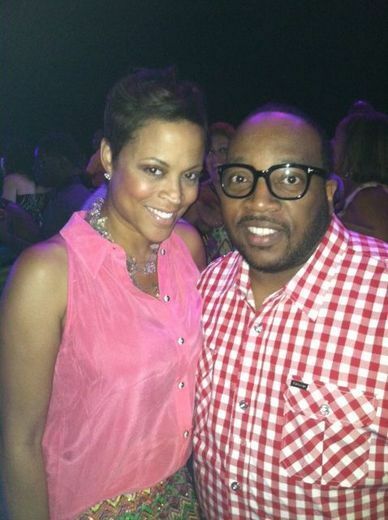 Shaunie O’Neal and gospel great Marvin Sapp share a moment backstage at the Superdome. 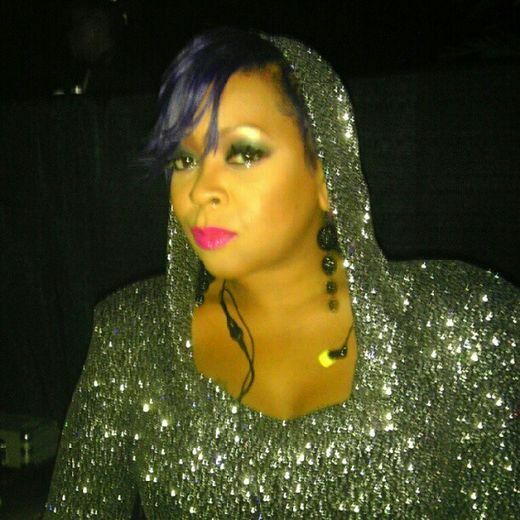 Where have you been, Monifah? 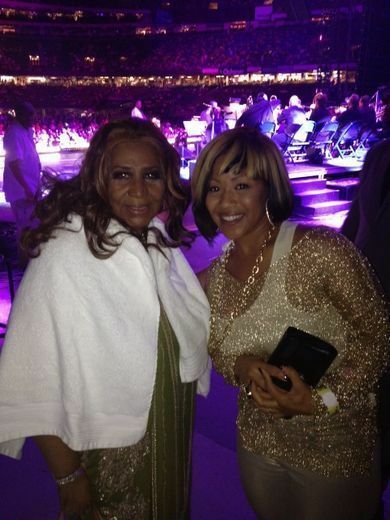 The R&B Divas star was spotted backstage at the Essence Music Festival.